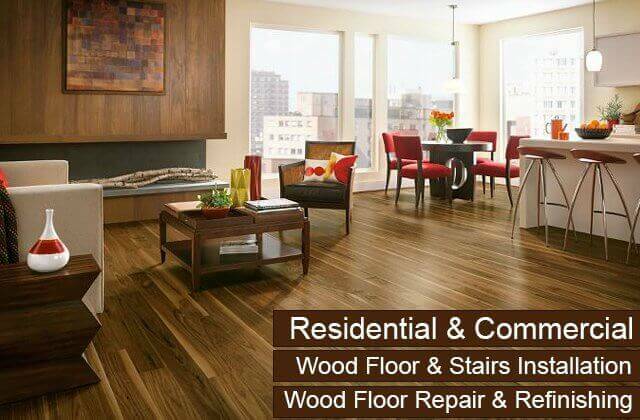 Carter Wood Floors is your best choice for hardwood floor services in Palos Verdes. 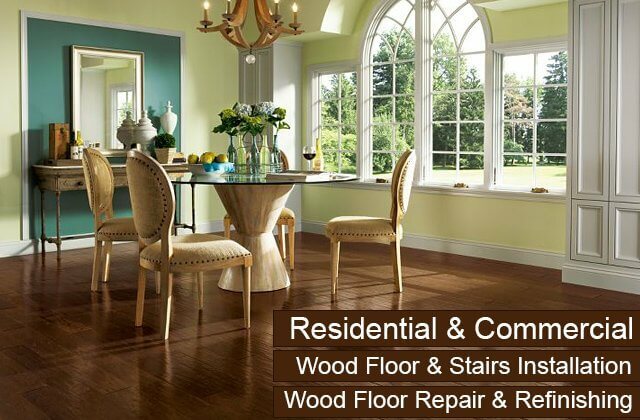 We excel in wood floor refinishing, staining, installations, and repairs; offer a large selection of high-quality hardwood for floors, stairs, moldings, and baseboards; and have priced all our services to be highly competitive with other Orange County flooring contractors serving the Palos Verdes area. Our business was founded over 30 years ago and since then we have served tens of thousands of residential and commercial customers throughout Southern California. The majority of these customers have become loyal clients of ours who trust us to handle all of their wood floor installation and maintenance needs, as well as those of their friends, family, and associates. As a result, referrals make up the majority of our business. Because we understand that our success depends on repeat clients and customer referrals, customer satisfaction is our #1 priority. That's why we don't want to just meet your expectations; we want to exceed them. Our Palos Verdes clients can always count on us for superior craftsmanship, expert advice, personalized service, quick turnaround times, and fair rates. Additionally, all of our work is backed by some of the best labor and structural warranties in the business. 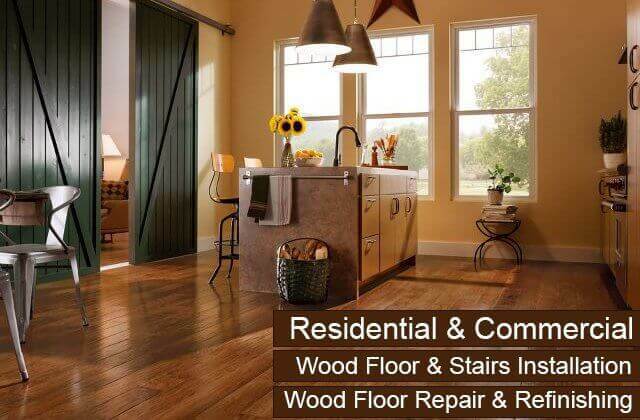 Carter Wood Floors is a full-service wood floor contractor. Contact us today for hardwood flooring sales, installation, refinishing, staining, restoration, repairs, or recoating services in Palos Verdes. We are authorized to sell and install Robbins by Armstrong, Bruce, Garrison, and Mullican hardwood floors, and specialize in custom, on-site refinishing (sanding, buffing, staining, and finishing). If you are interested in learning more or would like a price quote, we offer free site visits for home and business owners in Palos Verdes. If you have hardwood floors or stairs in your Palos Verdes home or business, you know that with time the finish can wear off and the wood can become susceptible to grime, scratches, and dents. Hardwood floor refinishing makes it possible to sand and buff out superficial damage and renew your floors through the application of stains and finishes. 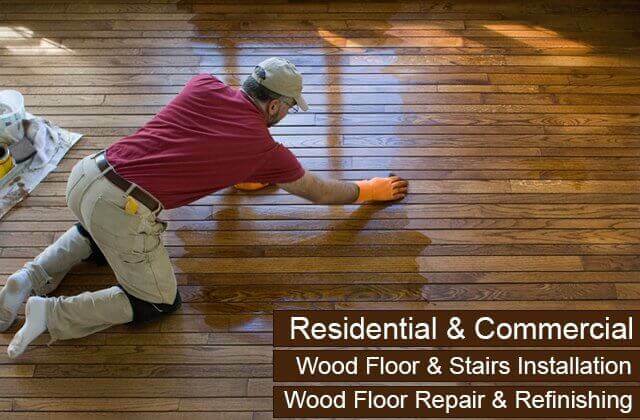 At Carter Wood Floors, we specialize in on-site custom refinishing and can be trusted to restore your wood floor using the best methods for repairs, sanding, buffing, staining, and finishing. With our efficient refinishing process and focused efforts, we are able to complete most refinishing jobs in two to four days, depending upon the number of coats that are required. 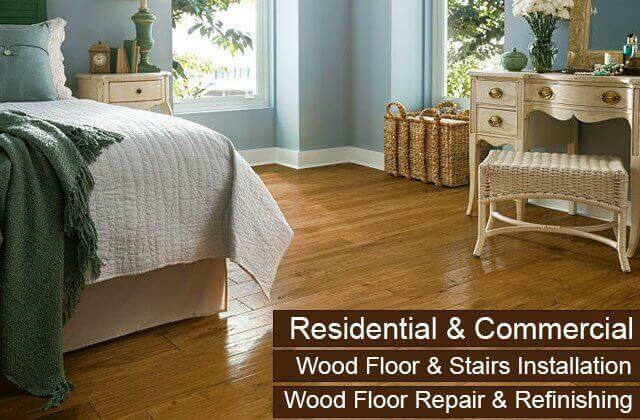 Call today to schedule a consultation with one of Carter Wood Floor's experts. During this consultation, we'll assess your floors, discuss any repairs that we feel are necessary, review your stain and finishing options, and provide a detailed price estimate. Moreover, our experts will let you know if refinishing is really the best course of action. In some cases a new coat of finish is all you need; while in other cases, a completely new floor may be required, particularly if most of your wood is warped, split, or sagging. Our team is renowned for their honesty and expertise, so call today. On-site consultations visits in Palos Verdes are always free. 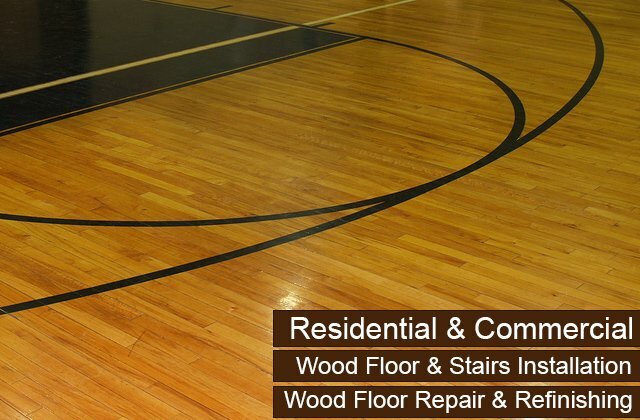 The hardwood floor repair services we provide to our Palos Verdes clients range from filling gaps, dents, and cracks to replacing boards that have become cracked, warped, or irreversibly damaged. When it comes to major damage, the worst culprits are water, termites, poor installation, urine, floor heaters, movers, and fires. At Carter Wood Floors, we have the expertise and experience to determine the most effective and cost-efficient method for correcting wood floor damage. Because damage is often discovered during the refinishing process, hardwood repairs are often part of our wood floor restoration services. If the damage is merely cosmetic, our Palos Verdes customers can elect to keep the damaged boards and just continue with refinishing. However, in some cases, repairs are necessary in order to proceed with refinishing. With every repair, you can trust that the repaired or replaced wood will blend in seamlessly with the rest of the floor and provide a long-lasting solution. 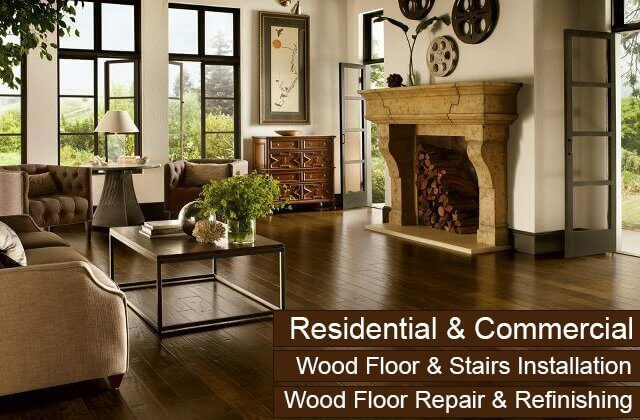 Call today if you need hardwood floor repairs in Palos Verdes. Most repairs can be done in one day. As an authorized dealer, Carter Wood Floors proudly sells hardwood floors from Bruce, Robbins by Armstrong, Mullican, and Garrison. These brands offer our Palos Verdes residential and commercial clients high-quality engineered and solid wood flooring panels at prices to fit nearly any budget. Our team has been selling and installing these floors for decades and is thoroughly familiar with each brand's complete flooring selection. With our expertise, you'll be able to make the best decisions for your new hardwood floor and have them installed by certified installers. Call us today to learn more. We'll ask you a few questions about your flooring needs in Palos Verdes and then schedule a free onsite visit. During our visit, we'll let you consider hardwood flooring samples within the context of your own home or business, take measurements of your floor, and determine what preparations are needed to ensure a fast and reliable installation. We'll also provide upfront price estimates. To help us narrow down the samples we take to a site visit in Palos Verdes, we usually try to determine if a client will be looking at solid hardwood flooring or engineered hardwood flooring. Solid hardwood floors are typically 3/4" of an inch thick and are constructed out of a single piece of wood. This type of floor can be prefinished or finished on site, and installed by being nailed to either a plywood or OSB (oriented strand board) subfloor. Both installation methods are an excellent choice for ground level installations or above. Overall, the great advantage solid hardwood flooring possesses over traditional engineered hardwood flooring is in its composition: because hardwood floors are solid hardwood from top to bottom, they can be sanded down and refinished many times. In contrast, engineered floors are constructed by stacking multiple layers of hardwood plies on top of each other in opposing directions. The layers are bonded together under heat and pressure, and then a top layer or "wear" layer of real hardwood is added over the surface. The main advantage of engineered hardwood floors over solid hardwood floors is that they are more stable dimensionally: The layers of hardwood that are stacked in opposite directions help to counteract the natural tendency of wood to expand and contract when exposed to varying levels of moisture. This added stability makes engineered floors ideal for slab and basement installations, where moisture levels are typically an issue. If you are unsure of which flooring type is best for you, don't worry; that's what we are here for. 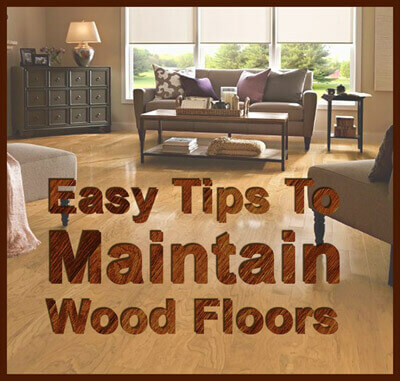 We'll answer all your questions and provide honest hardwood floor recommendations. We provide hardwood floor sales and installation services to both residential and commercial clients in the Palos Verdes area. Proper installation of hardwood floors involves experience, expertise, and skill. 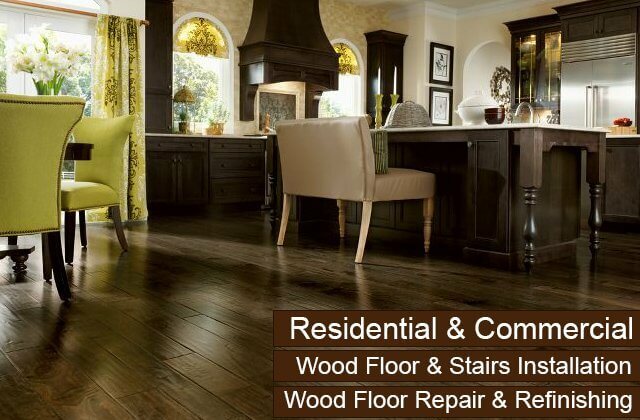 At Carter Wood Floors we bring all three qualities to every hardwood floor installation project in Palos Verdes. Over the last three decades, we've installed thousands of wood floors, and consistently delivered exceptional workmanship at a great price. With each wood floor, we applied the industry's latest and best installation techniques, from custom fitting each panel to applying each finishing coat with care and precision. We specialize in installing raw (aka unfinished) wood floors. Although we will install factory finished floors or wood flooring purchased from another dealer, we recommend and prefer to install unfinished wood from Mullican, Garrison, Bruce, and Robbins by Armstrong, because then we can confidently assure our Palos Verdes clients of the results they will receive. Our custom hardwood floor installations not only offer them the greatest degree of design control, but also the best fit. Call today for a free quote or to learn more about our custom hardwood installation services for residential and commercial floors in Palos Verdes. Since 1981, Carter Wood Floors has provided Palos Verdes residents with hardwood stair services, including hardwood installation, refinishing, and repairs. For those currently with carpeted stairs, hardwood installation for your staircase is a great way to upgrade your home, particularly when they are designed to complement your hardwood floors. With our expertise, we can make your stairs match any existing wood floor by selecting the same type of wood and finishing it with the right stain and finish. Similarly, we can replace broken hardwood treads, risers, spindles, and handrails using the same wood matching techniques. Because all of our stair services involve customizing unfinished "raw" wood, nearly every job involves our expert sanding, staining, and finishing services. This ensures that we can achieve consistently exceptional results that capture the aesthetic preferences of our Palos Verdes customers. Call today to learn more. I was very pleased with the work. It looks great! Hope I can use you again.